This March, we – me, Cass, Brittany, Alyssa and Kristina – are embarking on what is sure to be the most epic of journeys. 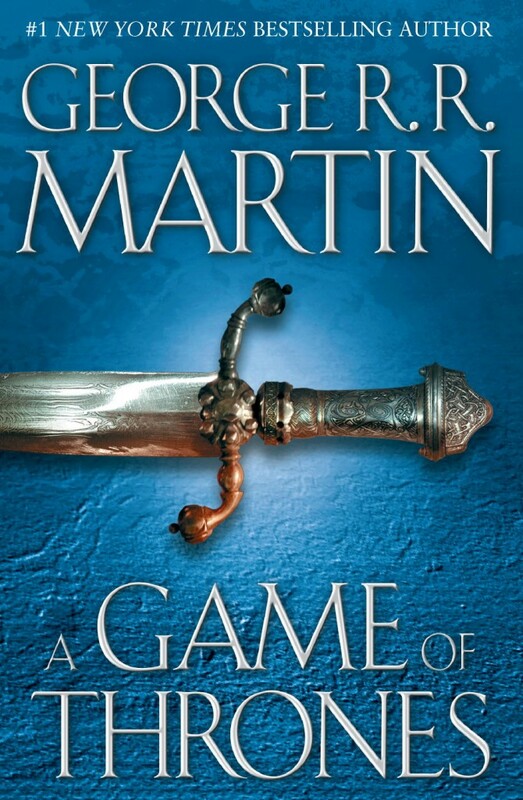 That’s right kids - we’re tackling the mammoth series known as A SONG OF ICE AND FIRE by George R.R. Martin! We all have wanted to read the series for a while, but we felt seriously intimidated by the sheer length and reputation of these novels. So, after a Twitter conversation and a slew of emails, we’ve set up the (very casual) A SONG OF ICE AND FIRE READ-ALONG. This read-along is more for each of us to be able to (finally) read this series, and have each other for support while we do! Everyone who is interested is welcome to join us, as we will be having Twitter chats (#SOIFRA) every two weeks (or perhaps update you on Twitter as we read!). We’re also hoping to set up an email thread per book where we can discuss all the things that are happening (and so we prevent the tragedy of spoiling things for other people!). 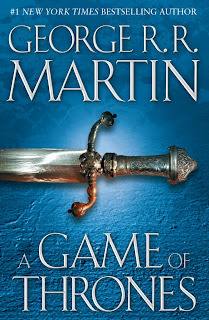 As the first host, I’m including some information about A GAME OF THRONES and the reading schedule that we’re hoping to follow for the first book A GAME OF THRONES during the months of March-April below. 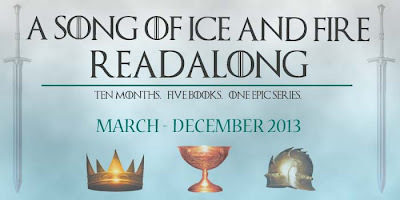 I do hope that you end up joining us in our quest to finally read the A SONG OF ICE AND FIRE series this year! The series has gained quite the reputation, especially after the television series started airing on HBO. Hopefully, all our curiosity about it – and yours – will be sated after this read-along! Count me in! I've read the first two books before but I've been wanting to start from the beginning and make my way through all of them all at one time. The first time I started reading these I don't think I really payed attention to all the details. This will be a great way for me to get through them all. Thanks for joining us Kim! I'm glad you're going to (re) read-along this series with us, and I hope you enjoy it more the second time around. Feel free to tweet or email me if you want to talk about it! Ok, I'm in! I got the box set of the first 4 for my birthday and haven't started them yet, so here's an excellent excuse! I'm so glad you're joining us Megan! Please feel free to tweet any of us using the #SOIFRA hashtag and I promise we'll reply. Hooray! I hope you end up enjoying it. I've read up to the stop point of week one, and I like it so far. It's very fascinating! YAY! I'm so glad that you've decided to join us. Please don't forget - you can feel free to email or tweet any of us using the hashtag #SOIFRA if you want to chat about the book as you read. Awesome! I've read the first two books, but I've been sitting on A Storm of Swords for THE longest time so perhaps this will make its length seem less overwhelming for me. Do feel free to jump in and join us when we hit the third book! This is mostly a casual support group type read-along, where we can discuss whatever is going on in the books via email or Twitter (using hashtag #SOIFRA). I am also hosting a GAME OF THRONES Readalong, but it's set up a little differently than yours. 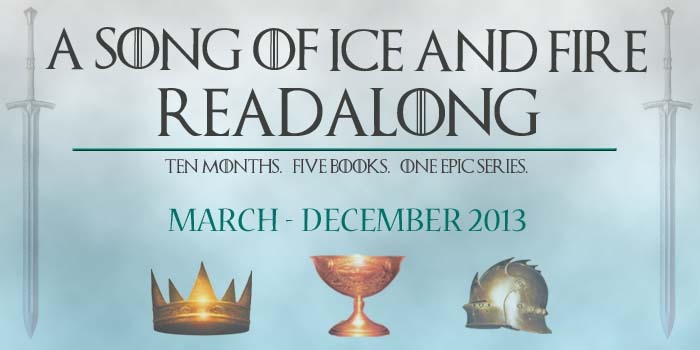 If you'd also like to take part in my readalong see my START OF THE GAME OF THRONES READALONG on my site. I will definitely be checking out your readlong and commenting as I am reading the books as well. Can't wait to see how this series is. Great minds definitely think alike! Good job on hosting your own read-along for this series :) Looks like you'll be a bit ahead of us! So happy to hear that this is happening! I won't be participating as I am drowning in my other two readalongs, but I will be following along to read thoughts! WEE! YAY! I shall be tweeting you (and Amy) constantly about this series, be warned. YOU CAN DO IT! It's actually fairly easy to get into it, and once you start, I won't be surprised if you get addicted too. I'm watching the first season after I finish book one as well, so yay! i have read the first two books so i'll join in july! I have the box set of the first four books, so I really want to be able to do this with you guys! And hopefully according to schedule as well. I'm a little behind but I think still early enough to join! I love that this is paced out already for us, I have a difficult time self-pacing. Great idea! Glad to be of service! I'm fairly certain that you can catch up - it's not hard read at all. Hope you do join us! I was reading this book by myself and actually finished it recently. I wish I would have known this readalong was going on. What a great challenge, I think I might join since I have read the first book and I already have the second book on my shelf waiting to be read. Ohh this challenge sounds fun! I've read the first 3 books and started the 4th but somehow didn't finish it. Not sure why! Can I join up once you guys start the 4th book? i'm ready for book #3! !